Social media is everywhere. 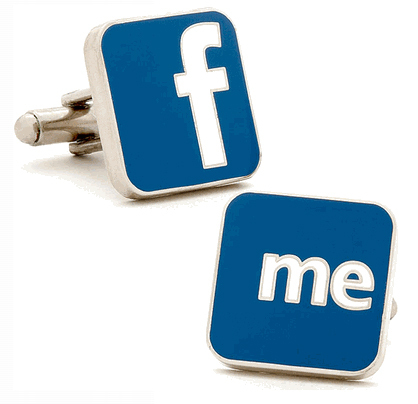 Play into the hype with this hilarious double-entendre cufflink set, “F Me”–get it? Get it? What, you don’t think it’s funny? Fine. I’ll keep all the jokes about poking to myself. $50.00, from Cufflinks.com. Tweet me, Twitter me, add me, stalk me, DM, @me, tweet me, tweet me, tweet me, follow me. These stockings (or “stalkings”–get it?! 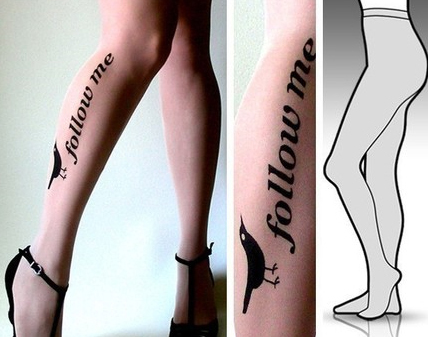 OMGLOL) are perfect for the Twitter whore in your life. $23.00, from tattoo socks on Etsy. 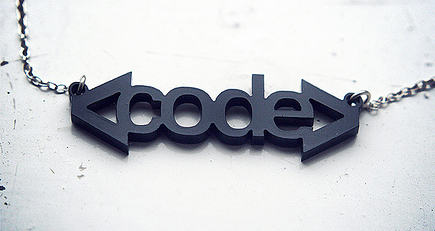 Everything you could imagine from “geekmom” to “trending topic,” CouchObjects has a necklace for it. Their Etsy shop is a thing of the past, but you can shoot them an e-mail at hello [!at] couchobjects.com and see if you can score one of their killer necklaces.